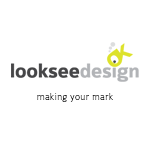 Looksee Design is headed by freelance designer Retta Laraway. With over 15 years’ experience as a Graphic Designer, I work closely with clients throughout Brisbane, Gold Coast...Read moreLooksee Design is headed by freelance designer Retta Laraway. With over 15 years’ experience as a Graphic Designer, I work closely with clients throughout Brisbane, Gold Coast and Sunshine Coast to provide effective design services and solutions across a diverse range of industries including food and wine, horticulture, legal, government, health and fitness, tourism, accommodation, music and festivals. As well as working clients across Queensland, I also work with amazing clients throughout Australia, USA and the UK. Building genuine relationships with clients and providing personalised, targeted design solutions is what I love. Let me take your ideas and translate them into a tangible, visual creation, or provide you with fresh ideas that will successfully market and promote your business. I am available for all jobs big or small, please get in touch. I love the brands I work with! And I will help your clients to love your brand too. Description: print design, website design, packaging, branding.